20ml PET plastic Therapy Bottle with 18mm dropper cap. 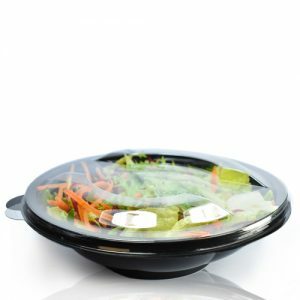 Made from crystal clear quality PET (Polyethylene Terephthalate) may just be worth a look. The PET is 100% recyclable and shatterproof too! 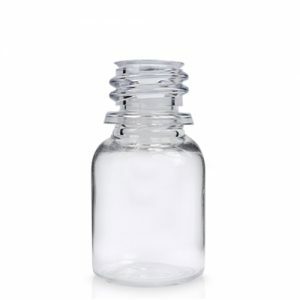 If you're looking for a lighter alternative to your usual glass dropper bottle, then our NEW 20ml Therapy Bottle, made from crystal clear quality PET (Polyethylene Terephthalate) may just be worth a look. The PET is 100% recyclable and shatterproof too! Available in four sizes (10ml, 15ml, 20ml and 50ml). Offering maximum clarity to the natural beauty of your product and an ideal packaging solution for a variety of bath and body products, cosmetics, oils and more. Compatible with our 18mm dropper cap with dropper insert. Includes 18mm dropper cap with plastic insert (Helps control the flow of dispense). Cap has a tamper evident band which will need to be broken once the cap has been screwed on to the bottle. A quick and instant way both you and your customers can tell whether your product has been tampered with during transit. Choose from black or white depending on your brand. Please note: before committing to large orders, we advise all customers to do their own product unit test. Ideon accepts no responsibility for product incompatibility.